If you haven’t know, the?Boat Quay?was once the busiest trading port in Singapore. 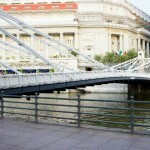 It was part of the whole Singapore River trade, along with Clark Quay and Robertson Quay. Trading was so vibrant then that many trading offices and shop houses we’re built along the whole stretch of the Quay. ?Raw?materials?like rubber, tin, steel,?manufactured?goods?and food items like rice and coffee were the most popular goods that exchanged hands at the Quay. The Boat Quay today is still as busy as before, but not because of trading and commerce. People today don’t come here with sacks of coffee beans to trade? (at least I don’t think you do! :P), but to enjoy what this popular location has to offer them! Now, let’s just see what are all the things you can find here! We may have seen the present Singapore with its tall and gorgeous skyscrapers… but we might not have seen the old Singapore as a popular trading port in the 1800s. How about?China,?India?and other Southeast asian civilisations some?2700?years?ago? 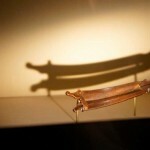 Curious?… you can discover all at the?Asian Civilisations Museum! 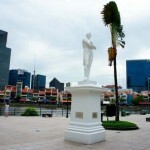 Sir Stamford Raffles?founded Singapore in 1819, during his search for a new trading port for British East India Company. But do you know where is the location he first landed? Yes! It’s?somewhere?at Boat Quay! Can you locate its landing site? Also, you can read about his plan for the whole Singapore then! The?Cavenagh?Bridge?is one of Singapore’s oldest bridge, coming close to 150 years. 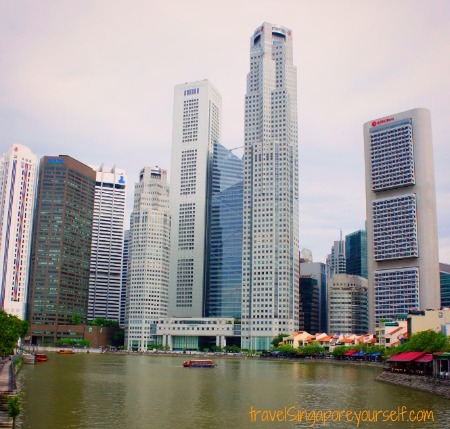 It connects the northern bank to the southern bank of the Singapore River to allow transport of vehicles, rickshaws, horse and ox carts during its early days. Today, it still stood firm as one of Singapore’s?famous?landmark?at Boat Quay! 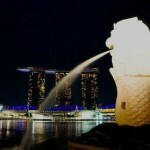 Singapore is probably best recognized by its mythical creature, the Merlion! The?Merlion Park? (where it stays) is popularly packed with tourists every day, posing interesting shots with it. Other than photographs, sitting down at the park and enjoying the?scenery?across is pleasure to the soul too… I’m sure you’ll enjoy! This ‘London-Eye’ look alike mega-wheel brings you up high to see the whole of Singapore’s Central Business District. If you’re lucky like us, you can catch fireworks exploding right beside you! 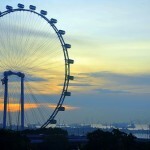 Check out the awe-inspiring?scenic images?taken from the Singapore Flyer! One of Singapore’s first integrated resorts which feature casino facilites, Marina Bay Sands is also one of the top Singapore tourist attractions today! 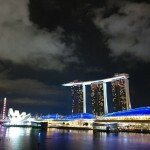 If you thought Marina Bay Sands is just about gambling, then you might be missing out a lot more! Check out the whole range of?fun, attractions and scenery?MBS got to offer!